Are you tired of spending hours upon hours managing your inventory of class “C” components? Are your fingers numb from performing hand counts of small parts? Do you find yourself wondering if there’s an easier way to maintain your inventory? To address the final question, the answer is yes! Vendor managed inventory from ASF Components takes the hassle out of stocking, counting, and reordering your operation’s essential parts and components. When we manage your inventory, you can be confident that you’ll always have the parts that you need on hand and – even better – that you’ll never have to spend another miserable hour counting, recounting, and verifying your inventory. Free from the burden of performing manual inventory, you – and your employees – are free to focus on more profitable tasks. As a result, your line’s productivity will improve and, most importantly, its profitability will increase. 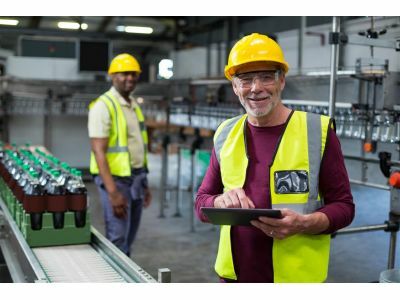 If you’ve been searching for ways to streamline your operation, reduce costs, avoid headaches, and maintain uptime, you can be confident that vendor managed inventory from ASF Components will help on all accounts. At ASF Components, our primary objective is helping our customers run more efficient, more profitable operations. Whether you need help with warehouse logistics, engineering and planning, new program implementation, or vendor managed inventory, we’re certain that we can meet – or exceed – your expectations. We believe in working closely with our clients, gaining an understanding of how their line operates, and then offering effective, direct solutions to the challenges that they face. So, if you’ve been searching for a provider of vendor managed inventory that will take the time necessary to gauge your needs, then craft a plan to address those needs, we encourage you to reach out to us today to discuss how we can help.